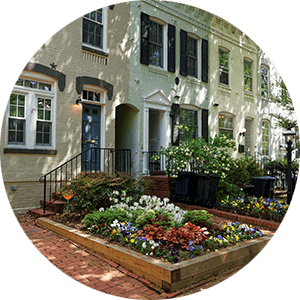 Formerly incorporated into D.C., in 1846 Arlington was given back to the state of Virginia and kept developing as the closest suburb to downtown D.C. The neighborhood is big enough to have parts of it resembling the city life and others mirroring more traditional suburbs. 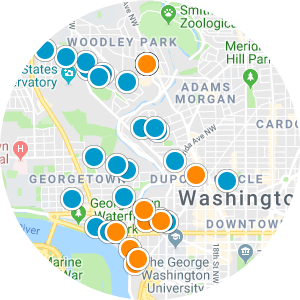 Transportation to the city is very efficient, with metro lines and highways, so many commuters choose Arlington as their home. It’s not like the suburb doesn’t have options though, as it is the location of many government offices and even a tech corridor. The mix of urban and suburban lifestyle brings here people who like to have a little bit of both in their life. Arlington’s most recent developments made parts of it pedestrian friendly and others prime dining and retail spots. Entertainment options don’t lack either, having bars that even residents of the district come here for. Nature lovers find the neighborhood appealing too, as it is an access point to the Old Dominion and Mount Vernon trails. 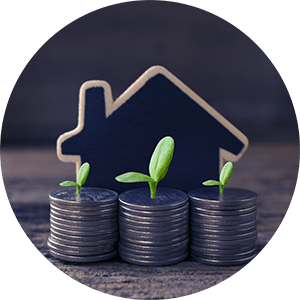 Arlington offers a great variety of options, and for houses that means new apartment complexes and condominiums, as well as houses with a big backyard, or more simple townhouses. 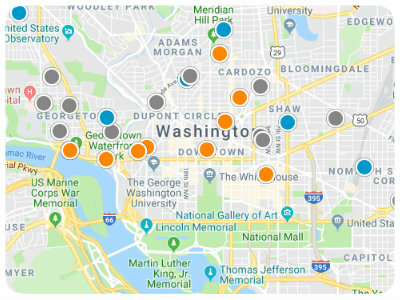 Prices are slightly lower than in D.C., although the distance to downtown is the same as some neighborhoods in the district. The Monroe @ Virginia Square Bldg. Westview At Ballston Metro Bldg.